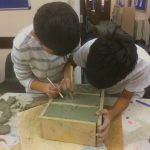 On display will be a series of fired ceramic bricks, each unique and recently created by local Wandsworth residents and groups including Battersea Harris Academy, FAST, and the R.O.S.E. Community Centre. 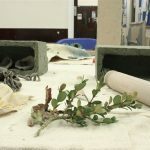 In creating their bricks, participants took inspiration from their urban surroundings, incorporating objects collected from nature walks around Battersea and the local Savona Estate. 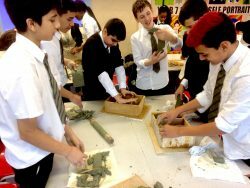 The installation at Pump House Gallery is part of a six-month arts engagement project – called Material Action – which has been inviting young people from Wandsworth and Lambeth to explore clay working in its many different guises. This display will be the last engagement held in the area before the overall project outcomes are celebrated on 10 March at a participatory showcase within Tate Exchange at Tate Modern, one of the world’s most prestigious arts venues. 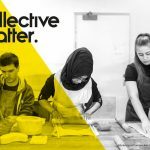 The workshop programme is being run by arts group Collective Matter, and is a collaboration between Pump House Gallery, Gasworks and Beaconsfield Gallery Vauxhall (BGV), three key venues within a growing cluster of galleries in the Vauxhall and Nine Elms regeneration area. 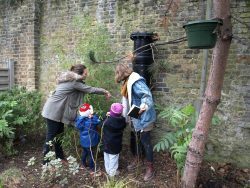 The six-month project was commissioned by the Nine Elms Vauxhall Partnership as part of the area’s cultural development programme and is part of Tate Exchange. The Nine Elms Vauxhall Partnership was created in 2010 to coordinate and drive forward the transformation of this central London district. Co-chaired by the leaders of Wandsworth and Lambeth Council, it includes the area’s main developers and landowners, the Mayor of London, Transport for London and the Greater London Authority. This unique public-private partnership has a shared vision for the area and is driving forward its ambitious place-making and cultural development programme in consultation with local communities. Tate Exchange allows other organisations and members of the public to participate in Tate’s creative process. Organisations from a wide range of fields well beyond the gallery’s normal reach have become Associates of Tate Exchange. This group will help to programme and run new dedicated spaces. Working in a spirit of generosity, openness and trust, the Associates will collaborate with one another around an annual theme inspired by the art on display. Tate Exchange will in time expand its group of Associates to include more partners from the UK and abroad, while consistently seeking to engage audiences which are new to the museum. For the full list of Associates and more information please visit tate.org.uk/tateexchange. 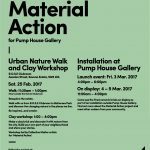 Pump House Gallery, situated beside the lake in Battersea Park, provides a welcoming space for audiences to see, participate and engage in contemporary art. Established in 1994, Gasworks is a non-profit contemporary visual art organisation working at the intersection between UK and international practices and debates. Gasworks provides studios for London-based artists; commissions emerging UK-based and international artists to present their first major exhibitions in the UK; and develops a highly-respected international residencies programme, which offers rare opportunities for international artists to research and develop new work in London. 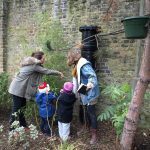 All programmes are accompanied by events and participatory workshops that engage audiences directly with artists and their work. Beaconsfield Gallery Vauxhall is a non-profit, artist-led entity, placing equal emphasis on audiences and artists. Founded as an educational charity in 1994 to fill a niche between the institution, the commercial and the ‘alternative’, Beaconsfield’s reputation rests on the staging of an influential programme of commissions (beacons) in a range of art mediums (field). The organisation’s function as a primary research vehicle is particularly notable for pioneering developments in time-based, political and sound art as well as curatorial practice. Through its identity as an experimental art laboratory and gallery, BGV has sustained a long-term engagement with challenging the boundaries of artists and audience at home and abroad International partnerships have included the Museum of Contemporary Art Oslo, Tate Britain and Foam Museum, Amsterdam.